Too tired to get out of bed today? We all have those days where getting out of bed just isn’t going to happen. It comes along with the territory of living with a chronic illness. But that doesn’t mean you need to spend the whole day sitting in bed, watching cartoons, and feeling sorry for yourself (though I’m certainly not judging if you want to watch TV for an hour or three). When your body is forcing you to take the time to rest, why not do something to further replenish your body. 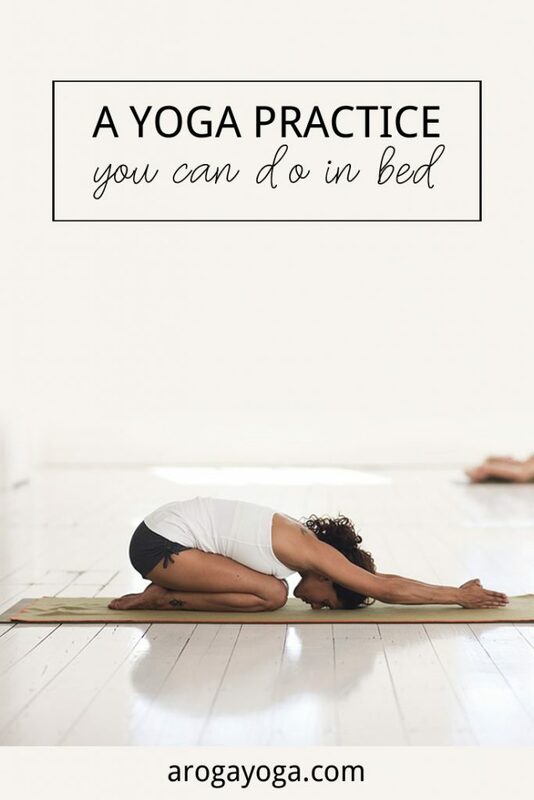 These yoga poses for fatigue can help nurture your body and quiet your mind, helping you find a deeper rest on your in bed days. As someone who has spent many days, and many ‘extended mornings’ in bed, I’ve found a few yoga poses that help me stretch out and move my body, without having to leave the covers.